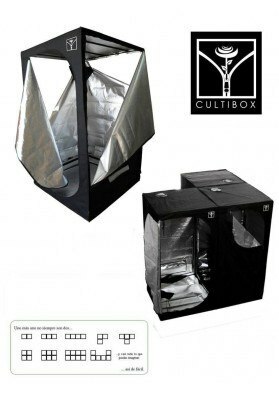 Made with a new structure that is more reflective and lighter when compared with the old cultivation rooms, Dark Room reflects 95% of light and improves its distribution and intensity inside the grow tent. This is the top model in this range. - Great ease of assembly/disassembly (no tools required) in about 20 min. - It takes up very little space and once dismantled it can be easily stored. 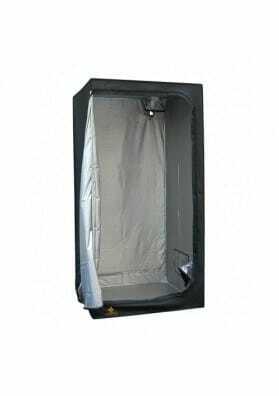 - Dark Room is made of compact and lithweight materials with an innovative reflective screen completely opaque. In the other hand, it assures a correct and balanced light distribution to all plants. - Double floor to avoid water leaks. - High quality zippers that open on the sides and in the outer part of the tent thus having several access points. Armario Dark Room II DR60 R3 60x60x150. Weight: 7000gr. Armario Dark Room II DR90 R3 90x90x170. Weight: 9000gr. Armario Dark Room II DR120 R3 120X120X200. Weight:14900gr. Armario Dark Room II DR150 R3 150x150x235. Weight: 19900gr. Armario Dark Room II DR240 R3 240x240x200 Weight: 37500gr.